In April I decided to replace three of my oldest and most worn make-up brushes as a birthday gift to myself. After reading a review by Brightly Colored Person, I knew that I had to try Wayne Goss’ brushes. Wayne Goss is a make-up artist, and his YouTube channel has over 2 MILLION subscribers! Each brush was handcrafted by more than 20 artisans from start to finish. The collection was made in Kumano, Japan, a region known for constructing makeup brushes for the past 200 years. The tips are never cut, leaving the softest natural hair bristles, sourced 100% cruelty-free. Bristles are carefully bundled into a brass ferrule to prevent them from coming loose. The construction also ensures the smoothest makeup application. Hornbeam, a wood known as “shide” in Japanese, was chosen for the handles for its durability and sturdiness. Designed for contouring and highlighting with creams and powders, and amazing for bronzers and blushes. Its flat edge will give definition and dimension to the planes of the face. 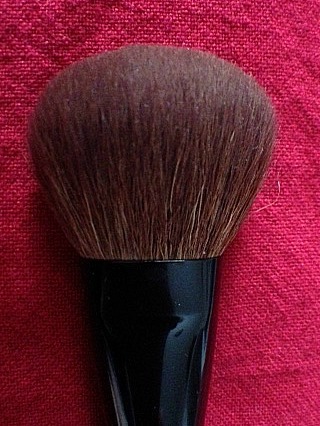 This brush is so soft, I’ve used it for blushes, and highlighting with both pressed and loose powders. It works amazingly well. It sells for $53 USD. Brush 06 is great for blending! With a bit of curve, it can blend multiple colors or pull eyeshadow out or up toward the brow. 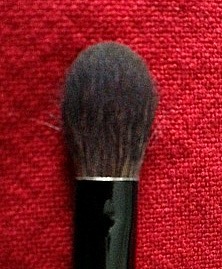 This brush is also great for applying and blending cream or liquid concealers. I’ve been reaching for this one for both applying a wash of color, and for blending. It sells for $25 USD. 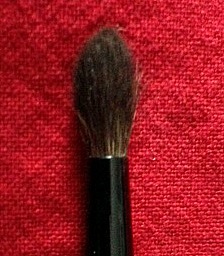 Brush 04 is a medium sized crease brush. It is perfect for detail work, like getting into the creases of smaller, more hooded eyes and concealing undereye bags. It’s large enough for highlighting and contouring, too. I’ve been using this one for crease work, and especially for a smoky eye. It sells for $28 USD. I’ve been exclusively using both #06 and #04 for my eyes, and haven’t used any of my other eye shadow brushes since I’ve gotten these ones! Overall: Luxurious and super soft, I love the length and weight of the brush handles. The construction is high quality and with care, they will last for many (many) years. I have my eyes on a few more of his brushes, especially the Holiday Brush, #07, #18, and #20! The brushes are so popular that they often sell out as fast as they are re-stocked on Beautylish. All items reviewed were purchased by me! Well you know I love these! Now I need the No. 12! lol The No. 6 and No. 4 are my absolute favorites. It’s like they do half the work for me! If you hadn’t reviewed the collection of brushes in the first place, I would not have been so curious! I’m REALLY curious about his brushes especially since they’re natural haired brushes which I prefer. But, buying them sight unseen… and they’re cheap. I too, have my eye on his Holiday Brush – it looks really neat! I also like the #1 and #13 Thanks for this review! And truth be told, I used to like his videos but in recent years, they’re become… less interesting. I don’t watch him very much anymore. They are so much softer than my old Sephora ones, and the workmanship is beautiful, and the brush handle has a nice weight in the hand. So far, I think that there has been minimal to no bristle loss when cleaning. For the cost and quality, I’m super happy. And the fact that they are cruelty-free is a huge plus for me! Ooh I just realized I wrote that these were “cheap” brushes, what I mean is, they’re RELATIVELY inexpensive considering the pricey Japanese ones I’ve seen, if you know what I mean! 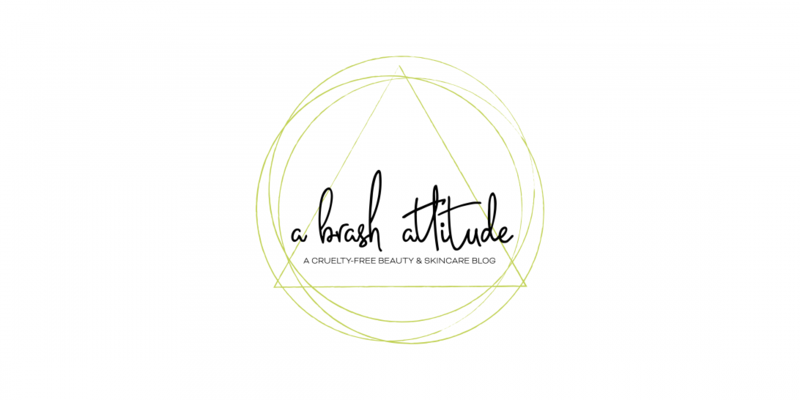 Yes, cruelty free natural hair bristles is pretty amazing. I just imagine that they comb the hairs off the little fury creatures hehe… like how they make angora! NEEEEEED to get me some asap! They are so good, I highly recommend them! Ooh! I didn’t know he had a brush line! Good to know. I watched some of his videos. He is funny and talented! I think that the brushes are only available on Beautylish. I am so pleased with the three that I own, that I will slowly be replacing all of my brushes! Sounds like a great purchase!